Satin finish fabric shades for a luminescent shine. Fixture includes hardware, installation instructions and 8 foot chain for hanging adjustments. Fixture hangs from matching decorative ceiling plate and is suitable for vaulted ceilings. This breathtaking 6 Light Chandelier with Satin Nickel Finish is a beautiful piece from our Elton Collection. With its sophisticated beauty and stunning details, it is sure to add the perfect touch to your dicor. 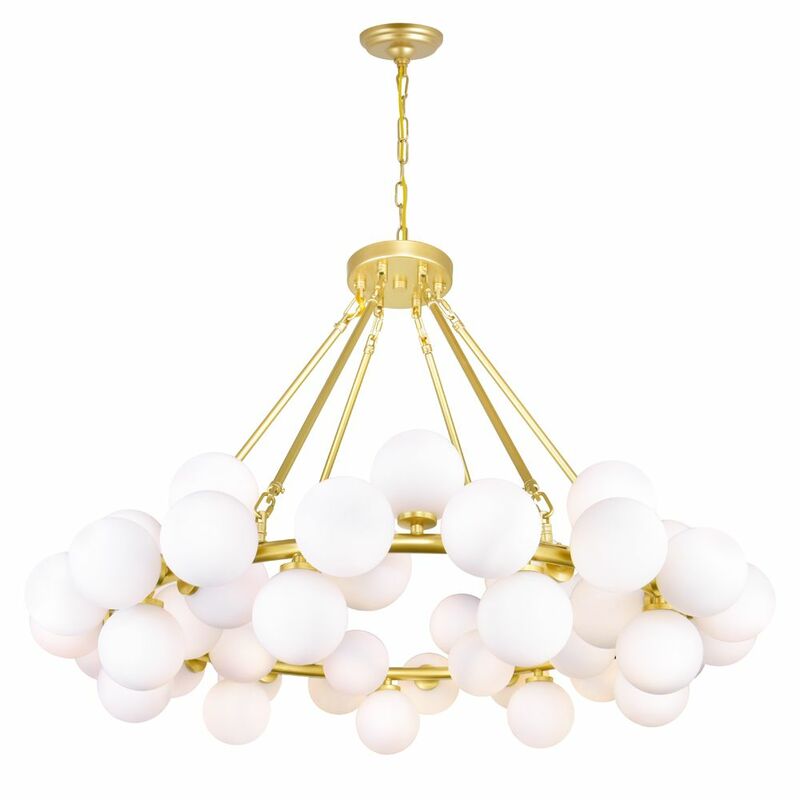 This breathtaking 19 Light Chandelier with Gold Finish is a beautiful piece from our Empire Collection. With its sophisticated beauty and stunning details, it is sure to add the perfect touch to your dicor. Arya 39-inch 45 Light Chandelier with Satin Gold Finish This breathtaking 45 Light Chandelier with Satin Gold Finish is a beautiful piece from our Arya Collection. With its sophisticated beauty and stunning details, it is sure to add the perfect touch to your dicor.